This week, very late in the day, the mainstream UK media and the wider national conversation finally caught up with a social and political slur that had been trending for more than a year already. 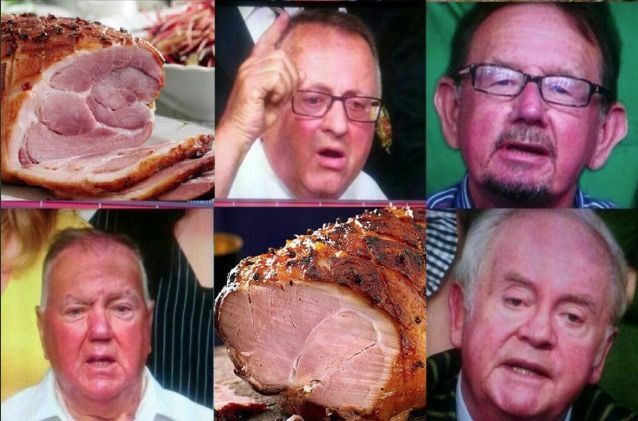 The insult in question was ‘gammon’, one of only a couple of pejorative labels (the other, slightly more affectionate, being ‘centrist dad’) directed from the left at the right as opposed to the many (‘libtard’, ‘snowflake’, ‘cuck’, etc.) routinely hurled in the other direction. The word itself is British and denotes an orange-coloured side or slice of cooked ham or bacon often proposed as emblematic of the garish-looking, odd-tasting and nutritionally suspect dishes served (warm, with a pineapple garnish) across British tables in the 1970s (when, ironically, ‘gammon rasher’ was rhyming slang for ‘smasher’ in the sense of something superlative). 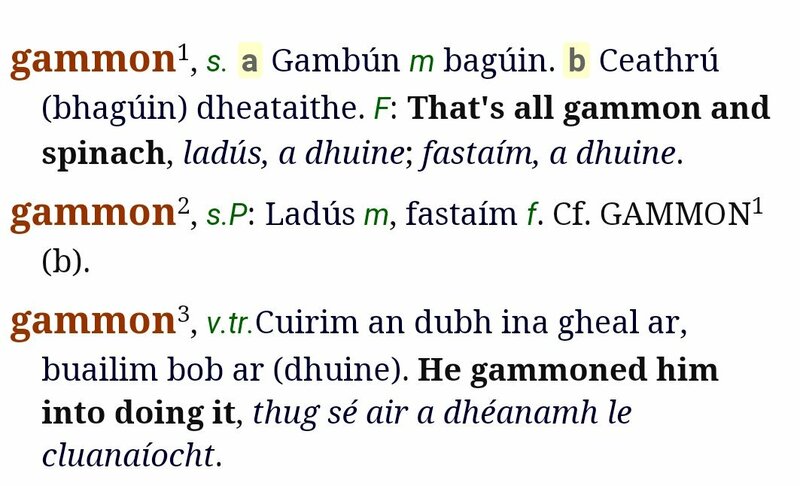 Gammon was adopted from French gambon, from gambe meaning leg, in the 15th century, while backgammon is unrelated and probably comes from an old form of the verb to game. Following the Times’ , the Express and the New Statesman’s belated discovery of the word Twitter was a-buzz on May 14, first with protests, many seemingly by gammons themselves, at what were alleged to be its racist and classist implications and then with more coherent attempts to unpack its real denotations and connotations.